Ben - From the Cambridge Science Festival, we've got Nicky Buckley with us. Hello! Ben - It's been an extremely busy weekend for you. I was at the festival yesterday covering some of the events but there was so much to see there it would have taken an army of us to get round it all. How long does it take to set up something like this? Nicky - We think about it all year. It does take 12 months to plan each festival. When it gets to the week or two beforehand we're working really long hours just to get it all sorted. It's fantastic when it all comes together. Ben - We'll be finding out what Carol Vorderman's personal favourite bits were but what's been your highlight so far? I know we've still got a few things to come but so far what have been your best bits? Nicky - I really enjoyed Bjorn the polar bear yesterday who came to visit us as part of National Science Week. He's a life-size animatronically-controlled polar bear. His handler does a show about why polar bears are under threat from global warming and their habitats are disappearing. The children asked fantastic questions and they came up with great answers as to why they could actually have an impact on tackling global warming. They were thinking about putting a jumper on in the house instead of turning the heating up so I was really pleased with that. Ben - It seems that there was quite a lot there that did both inspire the kids but also, I think, terrify them because I know that there were some fairly scary monsters around as well. Nicky - That's right. There were some Dr Who monsters, some Oods. I don't know all the words for them actually but I didn't like the look of a lot of them. That was quite light-hearted and they certainly created this fun, carnival-like atmosphere yesterday. It made it a really enjoyable experience for people. Ben - It definitely seemed to attract a lot of people. The queues for the Dr Who thing were huge but also the queues for the pure science tours were really big as well. How successful has the Science Festival been so far? Nicky - We think there were probably 15,000 people at five sites yesterday for the festival which was great. Probably another 4,000 today at Physics and the Vet School. These are just great numbers for us and we've seen people of all ages really enjoying themselves. Ben - I really enjoyed it and it was a great deal of fun but you can't do this because it's fun. Is there are real drive behind the Science Festival? Nicky - That's right, we are trying to encourage schools to take this further; for schools to think about university and careers and science; to see that it's relevant to everyone's life and then to engage with adults as well. They may not have studied science for years but actually have questions to do with their health or the environment where scientists can help answer those. Ben - What do you have planned for next year because surely the festival isn't over? You must be getting the wheels in motion for next year already? Nicky - Yep, that's right. 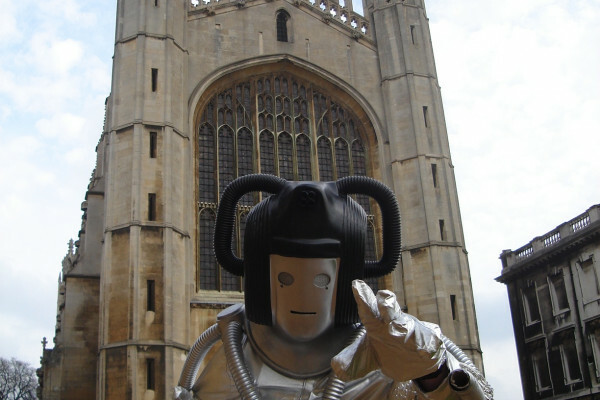 Next year it's the University of Cambridge's 800th anniversary. They haven't necessarily been doing science for 800 years but they've been doing science for quite a few centuries so the theme next year might be something along the lines of centuries of science and they'll be looking back at the past and also to the future next year. Ben - Fantastic. And I guess you'll have some of your returning favourites as well? Nicky - Oh yes. We've built up a great network of supporters and acts for the festival so I'm sure you'll see some of your old favourites come back.